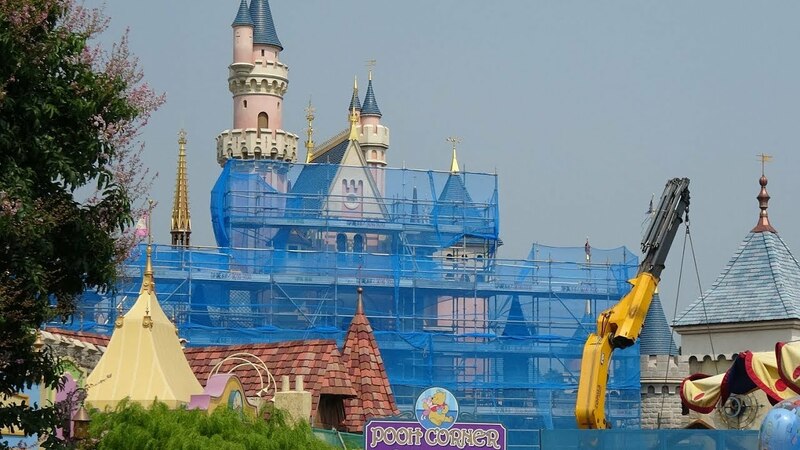 What's next for Hong Kong Disneyland? HKMSG uploaded a video on the HKDL castle works. I have been to HKDL today, I went to Mickey's wondrous book show. It has been a month or 3 since I last watched this show. I quite like this show, its just done right with a few surprises. Today I noticed that one of the surprises were gone. I am talking about the Jungle Book part after monkey King Louie sang, there should be a girl pretending to be statue on his throne performing some acrobatic movements. Well....she disappeared. At first I thought maybe she is not working today and they had to change the show a bit, but I am afraid that part is gone forever since the monkey had clearly a lot more dancing and singing to do. Did you guys notice it? Any construction updates on the castle? Did they start demolishing? They sure did. I mean not demolishing, but re-adjusting it. HK Chief Executive Carrie Lam announced plans for reclamation. The reclaimed islands will be in front of HK Disney Resort and all islands combined can accommodate about 1 million people. 123. Hong Kong Disneyland and Ocean Park, as the two major theme parks in Hong Kong, have for years attracted many visitors locally and from around the world. We will continue to ensure that the two theme parks can enhance their attractiveness so as to draw more high value-added overnight visitors. The Government is closely monitoring the existing expansion plans of Hong Kong Disneyland and will explore whether there is room for its next-stage development. We will also continue to support Ocean Park in reviewing its strategic positioning and future development plan, with a view to bringing more comprehensive recreational experience to visitors. It is kind of a repeat sentence from previous policy addresses. There is no substance and is basically just lip service. The Government is closely monitoring the existing expansion plans of Hong Kong Disneyland and will explore whether there is room for its next-stage development. Next stage development....prob not live long enough to see it completed....but I would really like to see 2nd Gate park announced, maybe something like FOX World since Disney and Fox will soon complete the deal. I am actually quite glad now that they didn't occupy the 2nd Gate land yet, I am quite sure HKDL will benefit something from the Fox-Disney deal. So many possibilities, even the imagineering team would be smiling when they get their hands on these IP's. HK Disneyland 2019 entertainment offerings preview video. It is confirmed in the video that Ant-Man and the Wasp: Nano Battle will open in March 2019. HKDL needs to start making money with the high speed train already running and the bridge opening in a few days. The whole expansion was kinda based on the optimism of having more tourists with the infrastructure in place. I bet they have expensive advertisement campaigns planned for the Greater Bay Area the coming months. As a Disney fan, and longtime former CM of Disneyland, my friend and I recently completed our tour of the world's Disney theme parks by visiting all of the parks in Asia. It is very hard to rank them as they are different and bring their own special qualities to the table. However, I thought that HKDL was, by far, the least impressive. And it really has nothing to do with the size of the park. Actually I find it to be a very beautiful location with a lot of potential. I was more surprised by the CMs themselves. Now, granted, we visited for two days and the second day was better, but overall, the CMs weren't, in our opinion, as congenial or approachable as their counterparts in Shanghai and Tokyo. In the latter two parks, simply amazing CMs! So friendly. So attentive. Every one of them had a smile and greeting for you, even if they didn't speak our language. We were so impressed! For us, their demeanor and attention to detail would make Walt proud. Obviously, Disney, in general, is very far removed from what Walt's philosophy as it now focuses on $ rather than personal guest experience. The magic seems more superficial now than heartfelt. But we felt the Tokyo and Shanghai parks had a preponderance of smiles and personal attention that felt very old school Disney to us. It actually did feel special. We hope that continues! From all the Disney Parks in the world, the one that I would never visit again, would be Paris. The park itself is among the most impressive ones, but it was ruined by the CM. It was not just one time, I had been there 3 times within 15 years. Every time it managed to completely destroy the Disney feel with their French attitude, you kinda have to beg for something and thank them for it as if you were the CM instead (it is much better if you speak French). The best park so far is Tokyo Disney Sea, really spot on. I have yet to experience the Shanghai one, I am very curious but I am kinda worried at the same time that the local visitors (not CM) known for not-queuing properly would make me nervous. The HK Zhuhai Macau Mega Bridge is open to the public today, HKDL CEO Samuel Lau said the resort will work with the mainland tour agencies to bring more guests to HKDL. HKDL both at the Hong Kong Food and Wine Festival at Central, Hong Kong. Huge crowd from the west side of Pearl River flood to Tung Chung for quick visit as they try out the HZM Mega Bridge. The local residents are furious that they congested the place and many tour groups are illegal as they are not working with HK tour operators. I think it might be time for HKDR to consider building Downtown Disney to try to absorb the crowd and gain some non-park business. Do you genuinely believe that real Hong Kong people have a say in this? Hong Kong govt is not democratic first of all. But now that the HK govt has opened the Pandora's Box, they have to deal with it. Even pro-govt LegCo members say the situation in Tung Chung is unacceptable. Build sth similar to Disney Springs where they allow other brands (uniqlo, lego, starbucks, ...) to operate. Antman and the Wasp: Nano Battle exterior work is nearing completion. Thanks to HKMSG for the picture. Interestingly the attraction is also presented by Stark Industries. Tony Stark and Hank Pym are on friendly terms now? 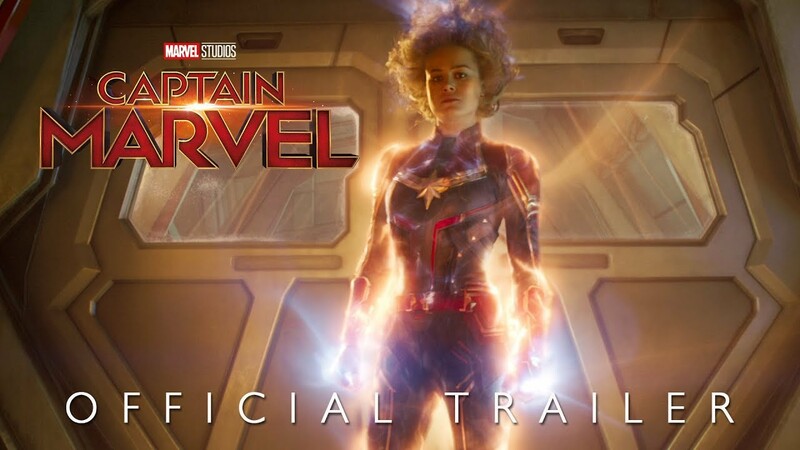 The final scenes shows Captain Marvel flying through space, maybe Captain Marvel could be the new theme for Space Mountain? That would make Space Mountain part of the Marvel universe. Of course it depends rather a lot on the success of the movie. If the girls like her then it will be fantastic business for Disney. All that leaves Orbitron behind as the non-Marvel themed attraction. Maybe a simple Guardians of the Galaxy overlay?